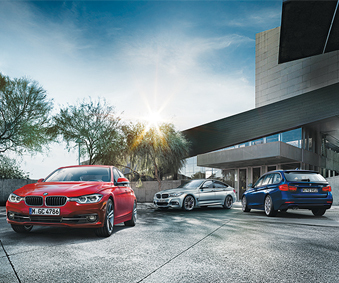 Down at Budds’ BMW, we realize you have choices when shopping for a new or used vehicle in the Hamilton area. Before making a decision, why not stop by and browse our impressive selection of the highest quality luxury vehicles. There’s a little bit of something for everyone, from our more economical 228i to our spacious X-Series crossovers. We have so many great cars for sale that we guarantee you’ll fall in love with at least one, if not many more. If you decide to buy, you’ll also get the comfort of knowing we’ll be here to offer you our highly rated service whenever you need it, including no charge scheduled maintenance for 4 years or 80,000 kilometers on all of our new vehicles. If you prefer not to explore our cars for sale and want to be in complete control, hop on over to our website at http://www.buddsbmwhamilton.com and create your own BMW in just minutes. You’re free to start with any base model you like, from series 2-7, M, Z, i and X. Once you have something to start with, you’re then able to select from all trims available for the model you’ve chosen, including transmission type and drivetrain. We’ve also added a very helpful feature that updates the price and the vehicle’s fuel economy in real time, adjusting for the different choices you make. So far this has only taken about a minute and now it’s time to move on to select a colour you like, for not only the exterior, but the interior as well. The next step is where you’ll probably spend most of your time because this is the step in which you get to select all of the options you want included. The choices are almost limitless, from choosing your tires and wheels, to adding extra comfort with heated seats and steering wheels. When you’re done you’ll be presented with the total price of your creation, along with a form to complete to ensure availability. We should probably mention one of the best parts about building you’re very own BMW on our website, and that is the fact that you can apply for a lease or financing right from the creation page! That’s right, no one makes it easier to buy a vehicle than Budds’ BMW Hamilton. Don’t forget we still have tons of cars for sale on the lot so come take a look first, you never know if your dream car is down here right now waiting for you.